Governments seem unable or unwilling to face up to the alarming consequences of an ever-increasing world population – projected by the United Nations to increase from 7.2 billion today to 9.6 million by 2050 (source) – and ever-increasing consumption. 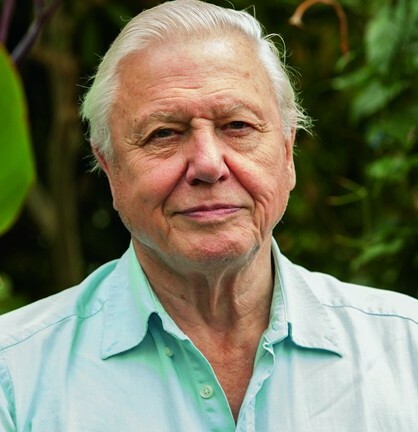 Climate change due to the burning of fossil fuels; water and food shortages; the destruction of forests, species extinction and loss of biodiversity; competition for dwindling mineral resources, as well as the inevitability of increasing human conflict. Is this because voters in developed (democratic) countries usually vote their governments in or out on the basis of whether they are able to deliver economic growth. Growth that has to be achieved at almost any price, and which at present relies on the exploitation of unsustainable resources? So what chance is there that the governments of developing countries, with 5.9 billion people who like us will want cars and will want to fly to distant places, what chance is there that their governments will be able to act differently? For us as individuals, is it a case of out of sight out of mind? Are we expecting that technology will come to the rescue, that something will turn up? 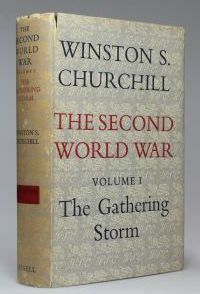 This short poem was quoted by Winston Churchill in the first volume, The Gathering Storm, published in 1948, of his six-volume history, The Second World War. On page 110, he recalls a debate in the House of Commons on 19 March 1935 on the air estimates (ie. money to pay for the production of aircraft) when as a back bencher he challenged the government’s assurances that the budget was adequate to meet the growing threat from Nazi Germany, who had reached parity with Britain in the number of aircraft. He wrote ‘Although the House listened to me with close attention, I felt a sensation of despair. To be so entirely convinced and vindicated in a matter of life and death to one’s country, and not to be able to make Parliament and the nation heed the warning … was an experience most painful’. Reflecting on the debate, he said ‘there lay in my memory at this time some lines from an unknown author about a railway accident, I had learnt from a volume of Punch cartoons which I used to pore over when I was eight or nine years old at school at Brighton’. He then quotes the lines above, and ends ‘However, I did not repeat them’. In this clip from the 2002 TV film, The Gathering Storm, which stars Albert Finney as Churchill, and Vanessa Redgrave as Clemmie, his wife, Churchill angrily quotes the lines following his warnings being ignored by the government. 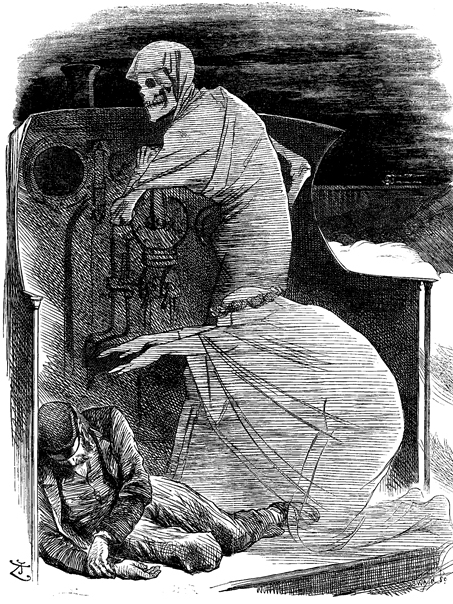 The poem was in fact taken from a much longer poem titled Death and His Brother Sleep which appeared in Volume 99 of Punch magazine published on 4 October 1890 and which was attributed to ‘Queen Mab’. The poem was written by Edwin James Milliken (1839 -1897) who, as well as being a poet, was an editor of Punch, a journalist and satirical humorist. The shorter poem is made up of the first two lines and last four lines of Death and His Brother Sleep, but how Churchill came to use only these lines is not known, though they do have a dramatic effect. Though the emphasis of the two pieces – the lengthy original in Punch , and Churchill’s pithier extract – is quite different, the final line ‘Death is in charge of the clattering train!’ remains quite chilling. Forward to 2013, and mankind’s future. Who is in charge of the clattering train? Whether you are convinced by Andy’s analysis will I guess depend on your view of human beings. Are they productive assets or passive consumers? Personally I regard people as vital productive assets that all nations need and rely on to maintain a functioning society and economy. The crops growing in the field, the sun in the sky and the minerals in the ground. None of these and countless more would remain unused and wasted without human intervention. Andy fails to factor in advances in technology, particularly in micro computers, and the diminishing impact they have on our natural resources and the environment generally. In my view the main problem to solve is the magnetic effect of big cities and urban centres generally. If people were encouraged to settle according to a more dispersed pattern, rather than pour into our overstretched cities then the impact of human settlement would ease and arguably our quality of life will improve as a result.